Walking, Moaning Masterpiece of Macabre! Run! Hide! Barricade yourself in the basement of an abandoned farmhouse! 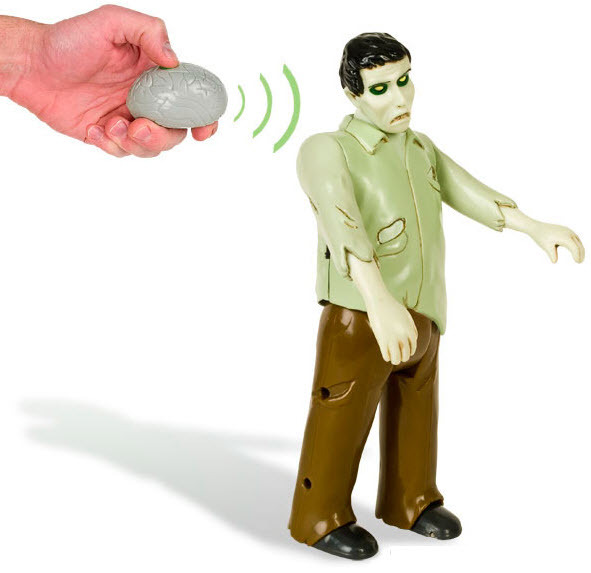 This 7-3/4" tall, plastic Remote Control Zombie will trudge forward and groan when you activate him by pressing the button on the 2-3/4" long brain-shaped remote. Horrifyingly entertaining! Articulated at the neck, shoulders and hips. Requires three AAA batteries (not included).